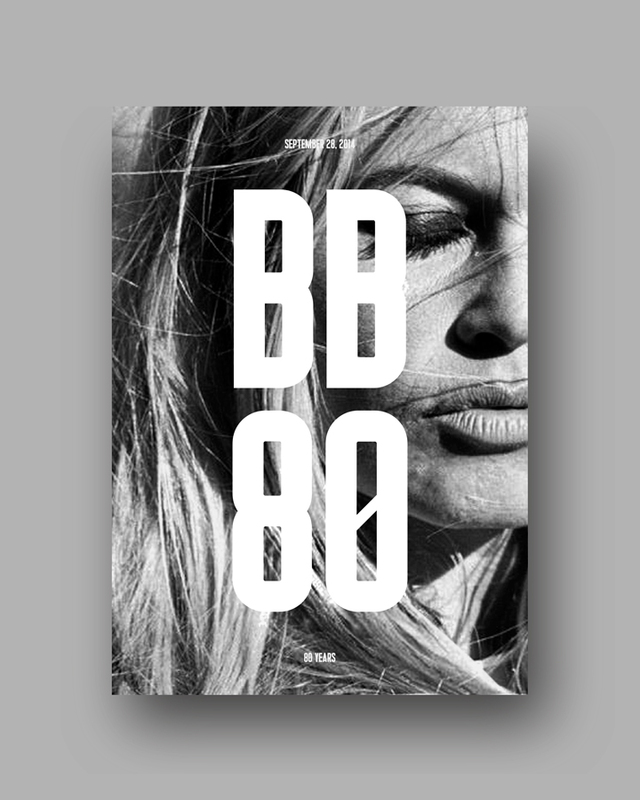 Only a week after Sophia Lorens’ (see homage poster here), another great actress celebrates the eightieth birthday: Brigitte Bardot. So I decided to pay homage to the french movie star, singer and model with a print too. 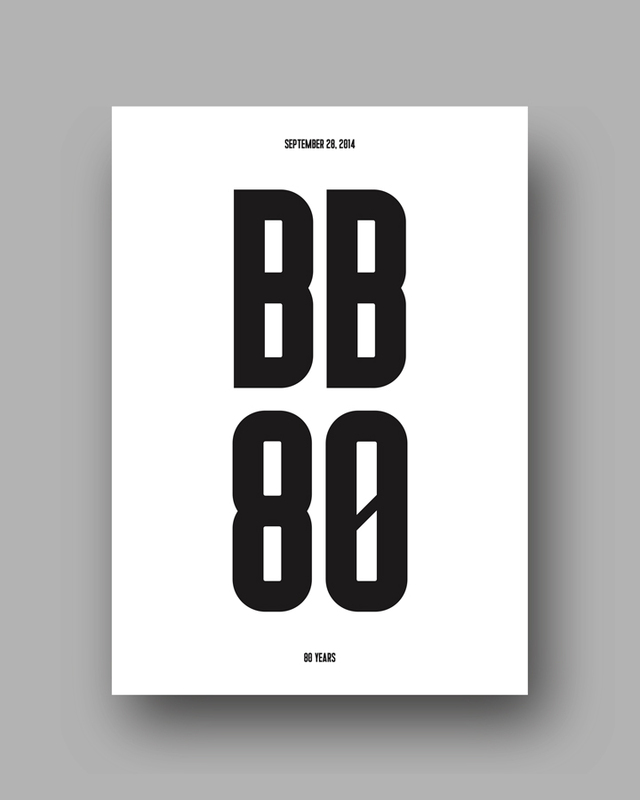 The A1 size poster, printed in only one copy, plays just with the amazing and mastodontic typeface Kane by Think Work Observe and with a black and white capture (author to me unknown, can credit if anyone knows the photographer). 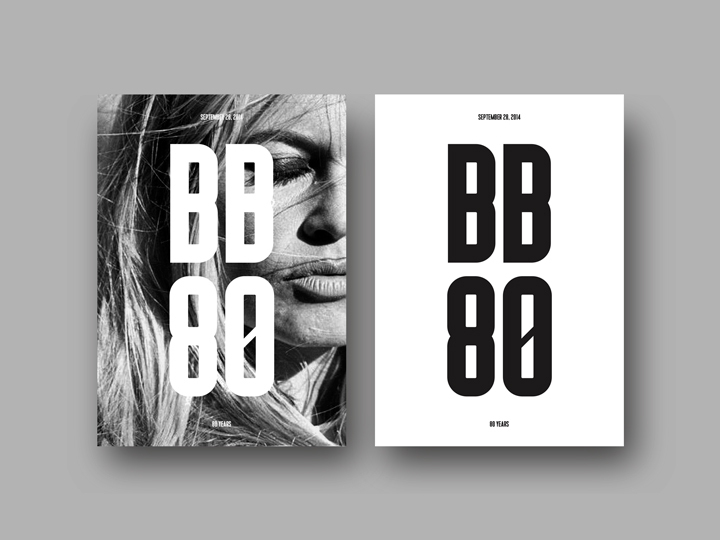 The blurb is ‘BB 80′, which is basically a simple visual game melting in a typographic way the actress likeable nickname ‘BB’ and her age, ’80’. This is my greyscale gift to you, BB. Happy birthday!